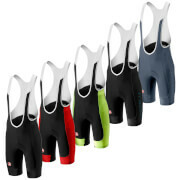 Nalini Ventoux Bib Short features an anatomically cut race fit design that moves with your body without restriction. Body mapping with muscle support fabrics, panels are strategically positioned to support your muscles and optimize circulation of blood flow so you're ready to take any challenges. The highly breathable and sweat-wicking fabric does its job to keep you cool and dry when temperatures are high. 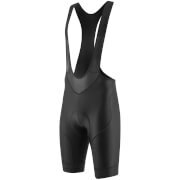 The stretchy upper braces lay flat against your upper body to keep the shorts positioned while the central back opening improves comfort and breathability. The new differently structured pad combines: anatomy, hygiene and the positive effects of F.I.R..avoiding the discomforts caused by the saddle. The spun yarn of the fabric contains silver ions (Skin Life), which have a bacteriostatic effect unanimously approved. The bioceramic crystals of the pad stimulate our body to release F.I.R., which help improving both body thermostatic temperature control and microcirculation, encouraging the removal of excess lactic acid. 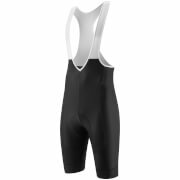 Special breathable support in areas which are subject to sweating.